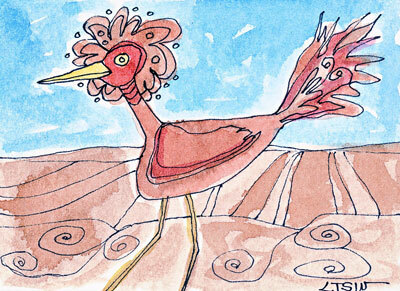 The 10th in a series of original ACEO’s based on birds (watercolor & ink pen on card stock). This entry was posted in Uncategorized and tagged ACEOs, animal art, illustrations, ink pen drawing, Linda Kay Thomas, Linda Snider-Ward, Louisiana artist, watercolor, whimsical art. Bookmark the permalink.